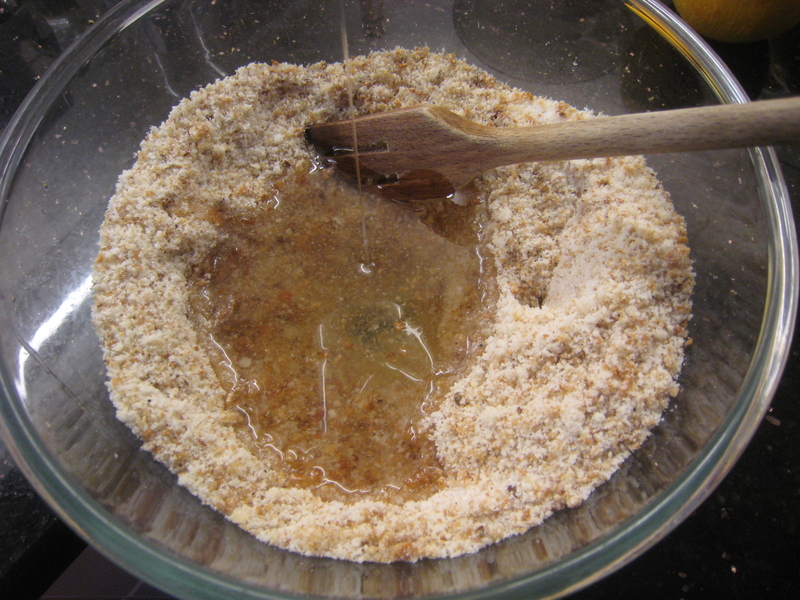 Mix breadcrumbs with sugar, almonds & baking powder. Add oil & eggs & beat well. Baked until golden brown but, as you can see, the new product didn’t work quite as planned! 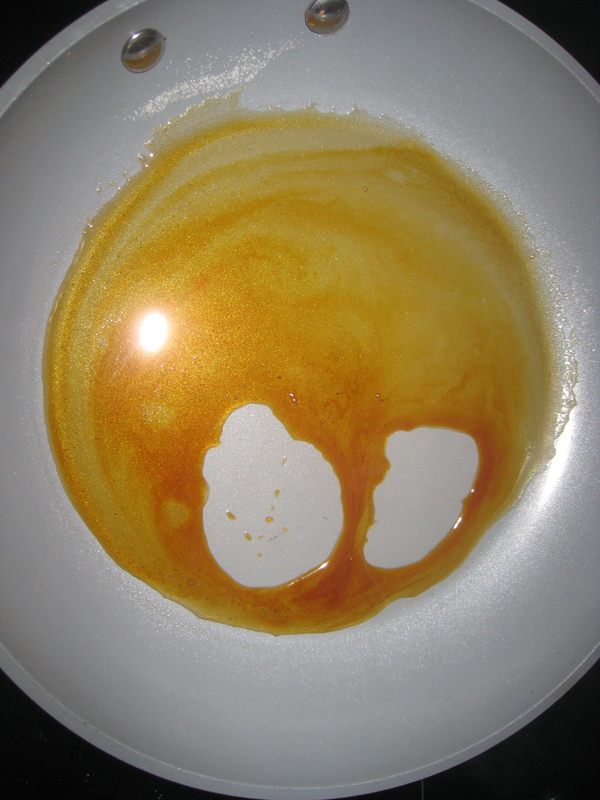 If in a hurry, you can leave out syrup but it won’t be as gooey. (Basically, do make this the day before and don’t be in a hurry! It needs the syrup to be the best it can be! 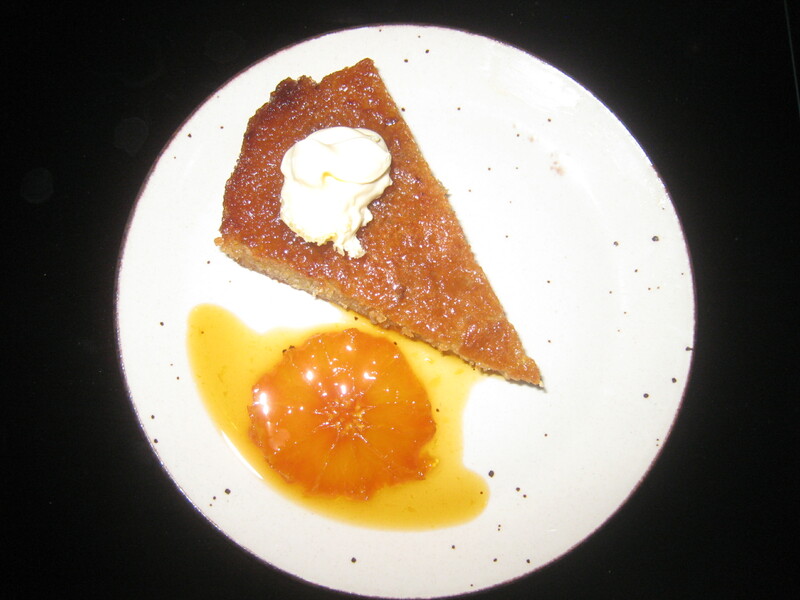 Syrup soaked cake tastes best a day after it is made & will keep in fridge for 3 – 4 days. I can’t imagine this cake lasting 3-4 days! It goes very quickly in our house! 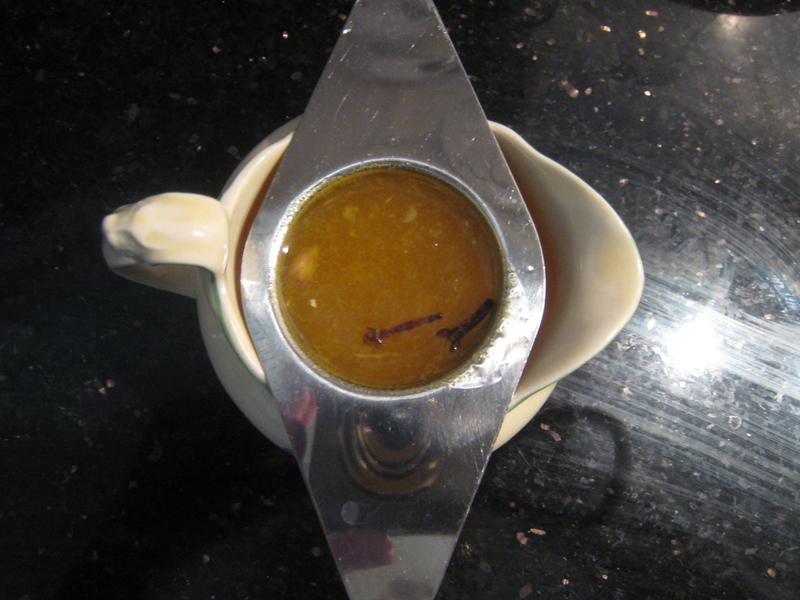 It is delicious served warm with Cornish ice cream or cold with Cornish Cream. 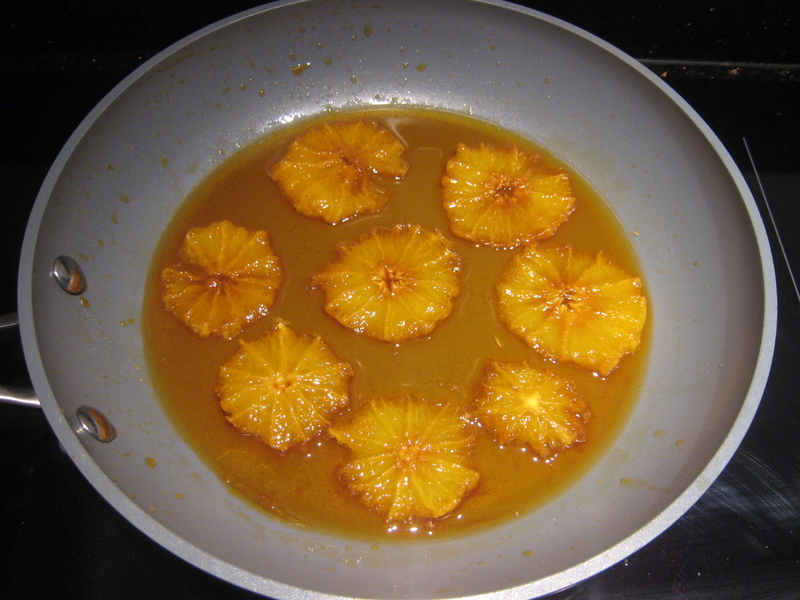 Caramelised orange slices are lovely with it too which is how Carrie served it. 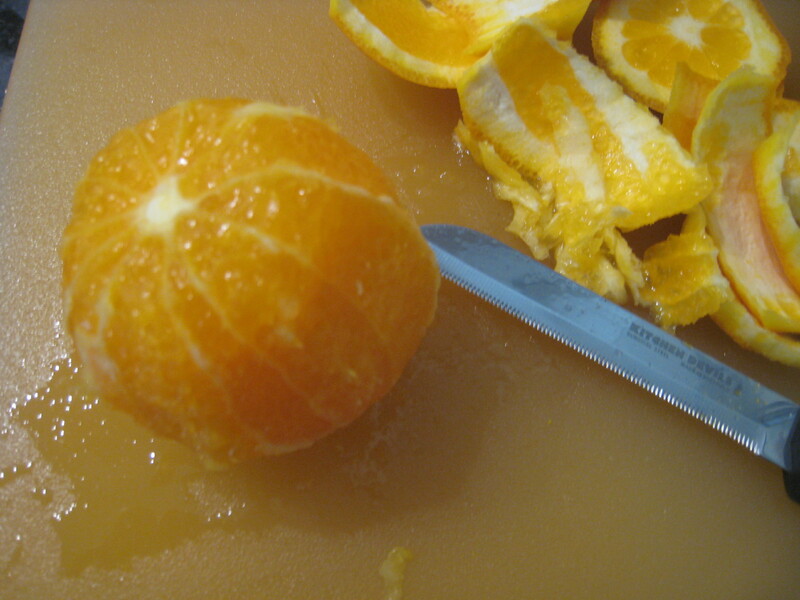 To caramelise the oranges, peel and slice them. 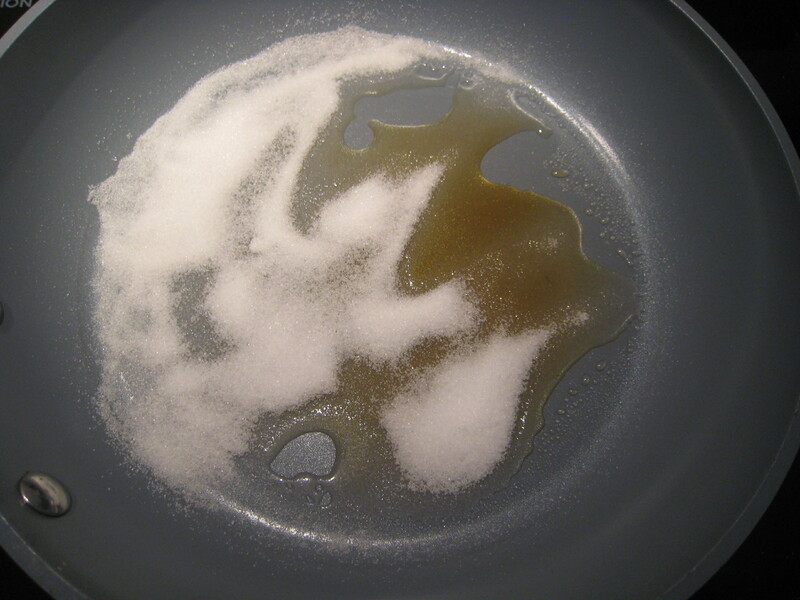 Make the caramel by heating sugar in a hot pan until it turns dark Take care, it can catch very quickly. Thank you for that, it is a winner! Love your photos and recipe! Looks divine! Three cheers…or a trio of cheers! 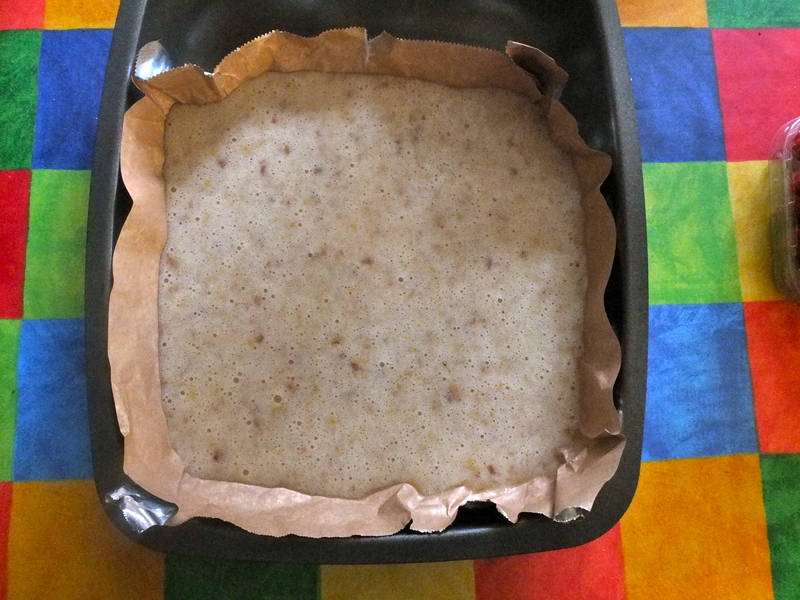 Just finished baking this, can not wait to try it! OK..it’s late at night and I’m looking at food photos. They look tasty indeed. I’m going to see what’s in the fridge. I have been on the lookout for such a cake. I like your presentation! 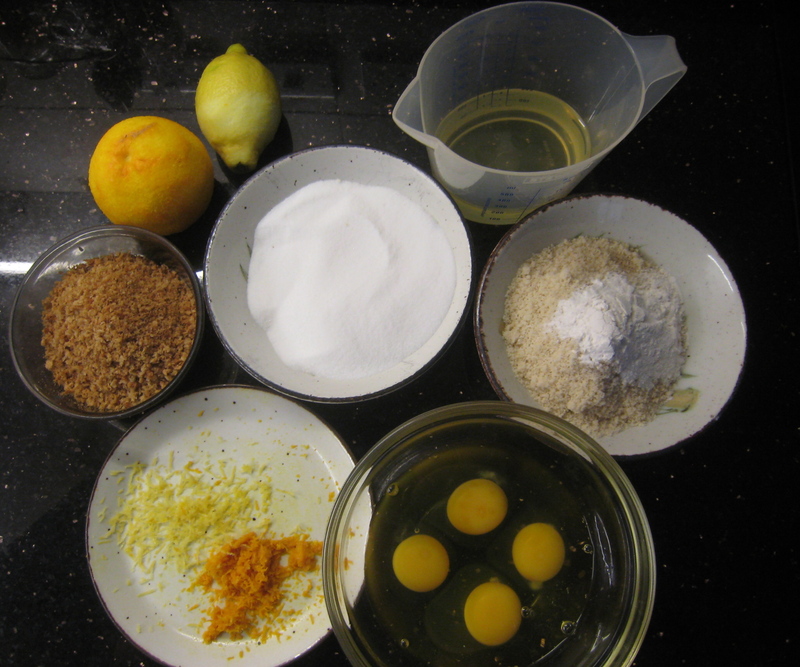 Have you tried to do small cakes as in muffin size ie one portion size? If so how many would this recipe make and what changes in oven and time. I will do this recipe. 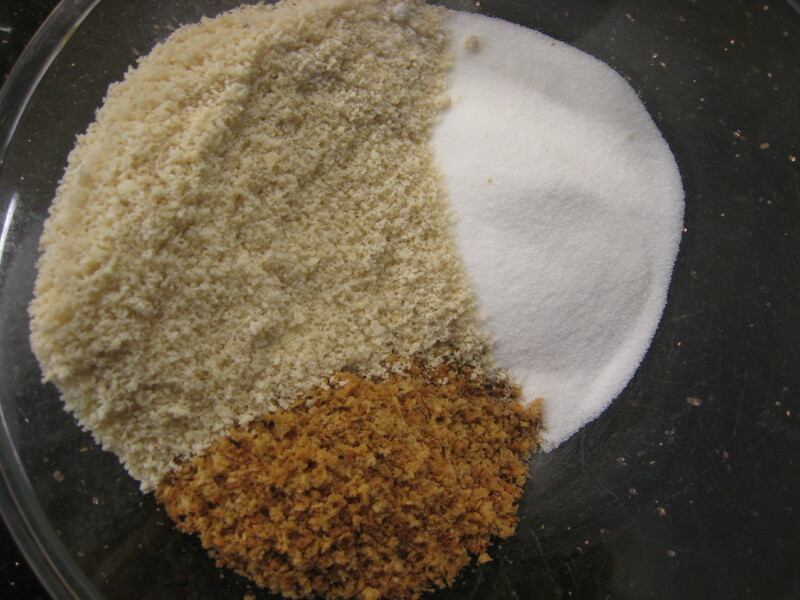 My favourite dessert, and your recipe is delicious! that sounds really good and your pics make it tempting! I think your variation is way too sweet for our palate. 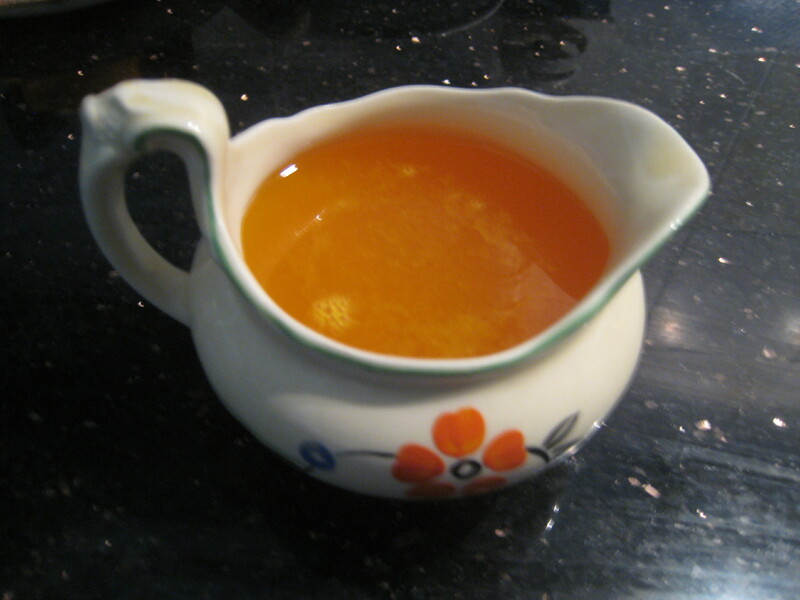 I would cut down sugar to less than 100g and oil (I use extra virgin olive oil) to 100ml. 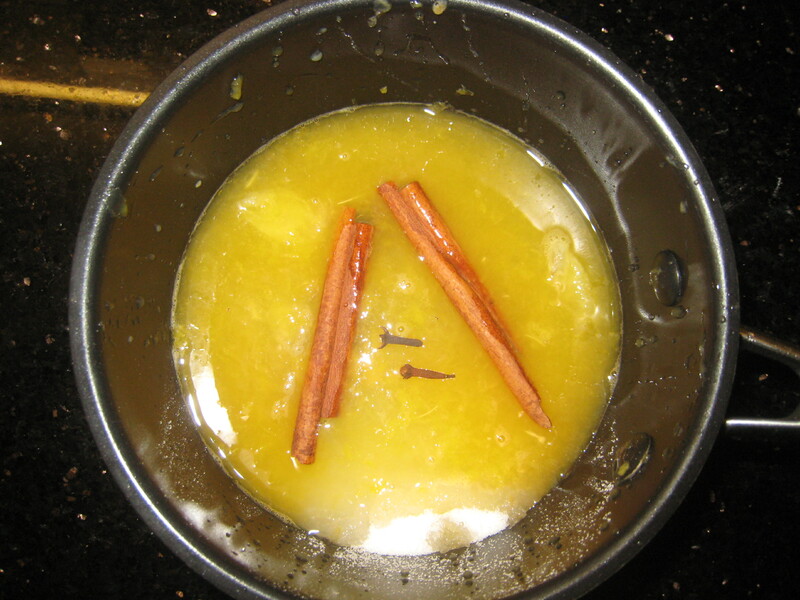 Add a pinch of saffron too – make it extra special, luxurious and almost true to the 16th century. 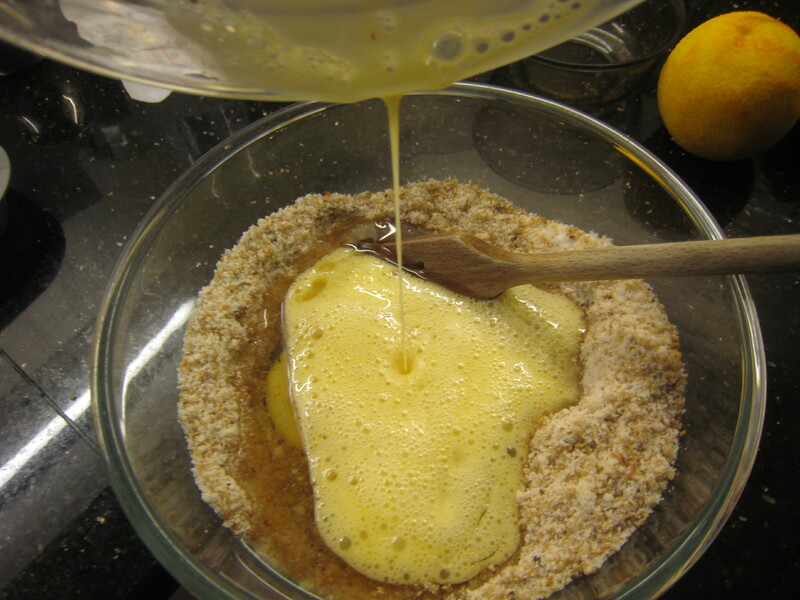 It works well without sodium bicarbonate or other raising agent provided you bake the cake immediately in a hot oven. I use Remoska from Lakeland with a deep tin. 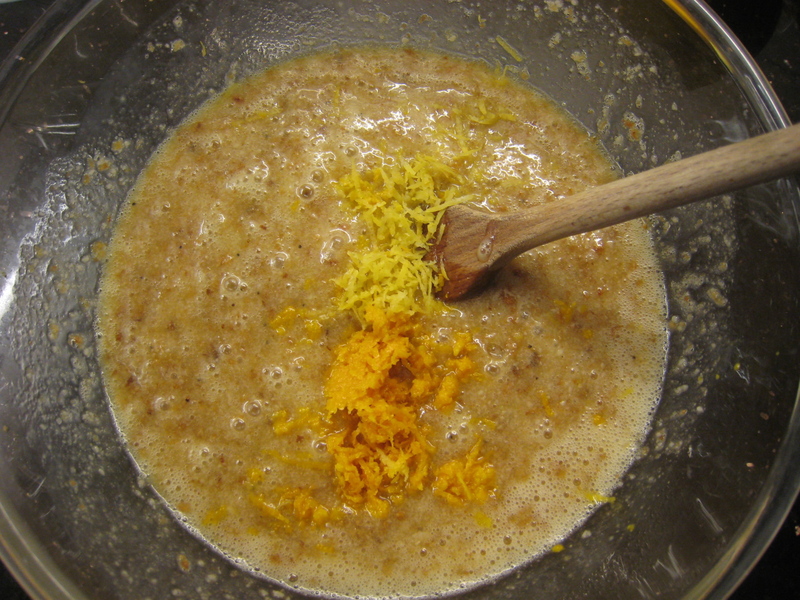 I make my syrup with oranges, lemons, limes and satsumas, adding cardamom, vanilla, cinnamon, cloves, star anise. Thank you for your lengthy and helpful comments – much appreciated. I shall try all your suggestions! 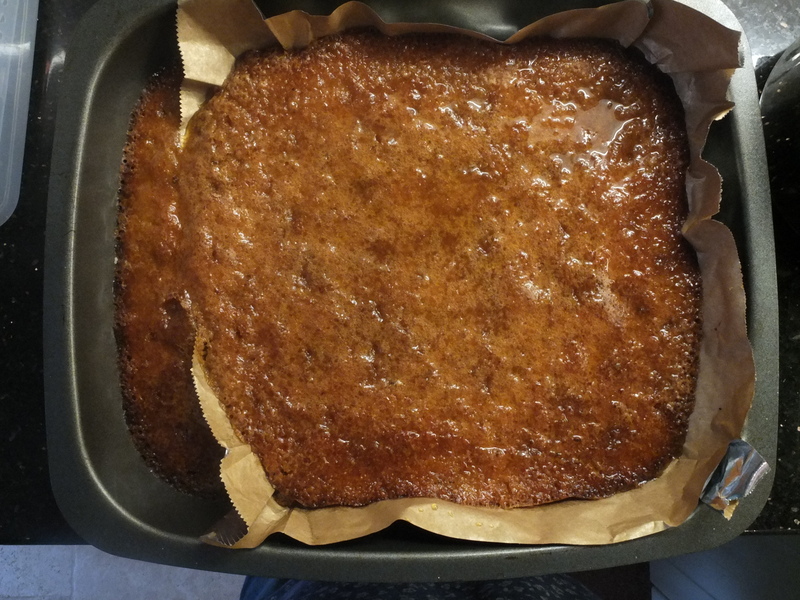 Since I posted the recipe I have tried the cake with all the above juices and added star anise. I love cardamon and will definitely play with the different flavours. Oh Sally, delicious galore. 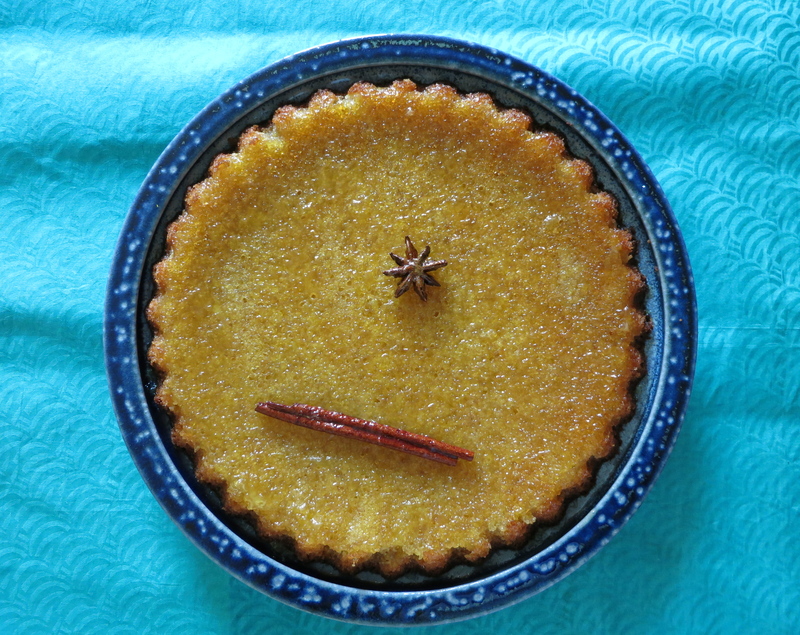 You’ve actually hit on one of my favourite cakes – almond & orange. Mmmmmmm, yes. I also love Black Forest cake. Just lovely, can almost smell the orange aroma. I’ll try it!